Millions of people of all ages in UK are affected by sleep problems, many with severe, chronic sleep deprivation. 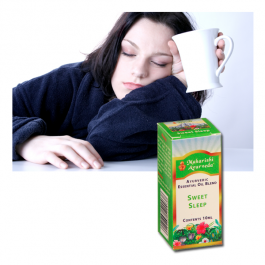 To support the ability to fall asleep easily adopt a Vata pacifying diet and regime. Favour foods that are warm, heavy and oily, and minimize foods that are cold, dry and light. Emphasize the sweet, salty and sour tastes, and cut down on spicy, bitter and astringent foods. Drinking a cup of Good Night Tea before bed. Almond Energy drink combined with warm milk can also be soothing. Apply a little Rejuvenation Massage Oil on your hands and feet (especially the soles) before you go to bed. In bed, breathe deeply and easily to help you unwind. To support uninterrupted sleep follow a Pitta pacifying diet and routine. Take foods that are cool and liquid, and reduce hot, spicy foods. Sweet, bitter, astringent foods are good; reduce foods that are spicy, salty or sour. Combine the Rejuvenation Massage Oil (50%) with a cooling oil such as coconut or olive (50%) and apply to the hands and feet before bed. Breathe deeply and easily in bed. If you wake during the night take ½ cup of warm whole milk and 1 tablet of Blissful Joy food supplement. To help you wake up feeling energetic follow a Kapha pacifying regime - favour foods that are light, dry and warm, and minimize or avoid foods that are heavy, oily and cold. Take more of spicy, bitter and astringent tastes, and reduce sweet, salty and sour tasting foods. Take Kapha Tea three times during the day and Good Night Tea at bedtime. Massaging hands and feet, especially the nail-beds, with Rejuvenation Massage Oil will help. The Peace at Night and Nidra (Sweet Sleep) Therapeutic Aromas help create a relaxing, calming environment in your bedroom and help balance your mind and body even after you fall asleep. 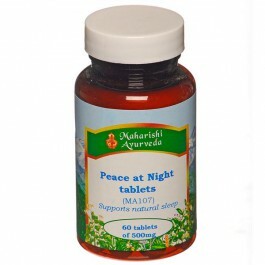 Peace at Night tablets helps keep Vata in balance thus supporting healthy natural rest without dullness in the morning. 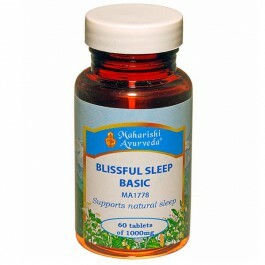 The Maharishi AyurVeda Blissful Sleep group of herbal food supplements are gentle, non-habit-forming, natural sleep aids. They support all three values of sleep. 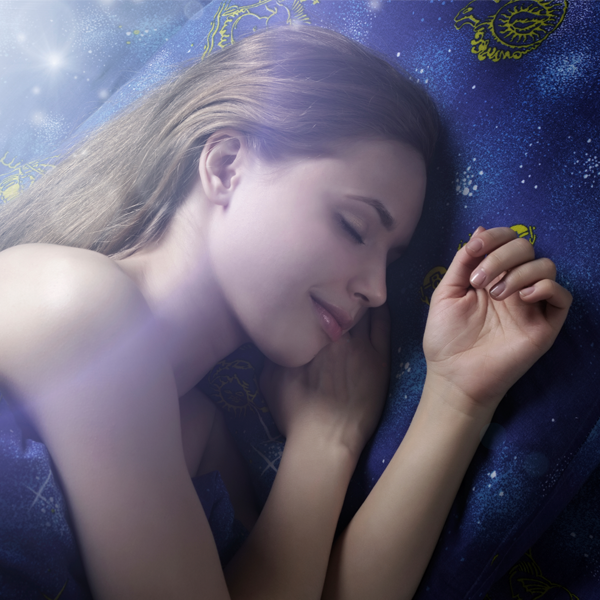 Take Blissful Sleep - Basic and add Blissful Sleep – Vata & Pitta to help you get to sleep. 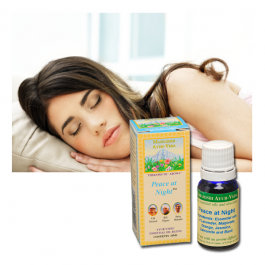 Take Blissful Sleep - Basic and add Blissful Sleep – Vata & Pitta to help continuous sleep. 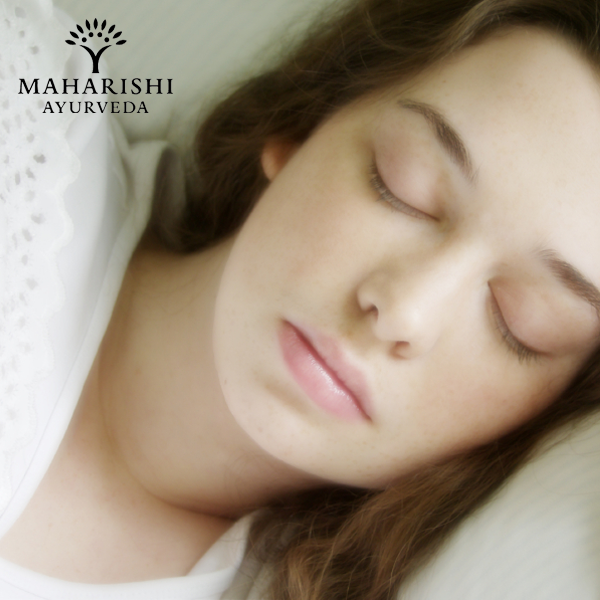 Take Blissful Sleep - Basic and add Blissful Sleep – Kapha to help you feel fresh in the morning. Eat a light dinner, at least two hours before retiring to bed and take the herbs after the meal, not on an empty stomach. 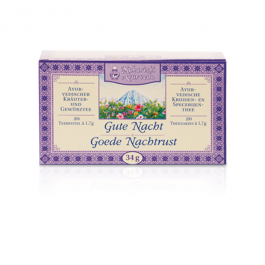 A natural herbal formula to help minimise the impact of worry and stress and supports getting a good night's sleep. From the perspective of Ayurveda an over-active mind, anxiety, worries and difficulty sleeping all indicate an imbalance in the sub-dosha Prana Vata. 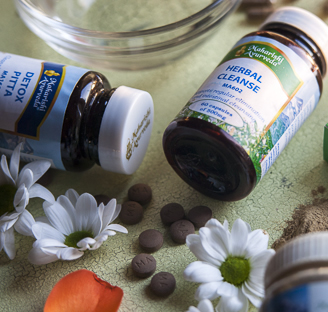 The herbal combination in Peace of Mind is designed to naturally settle and balance Prana Vata. Where stress and anxiety is impacting on sleep patterns, this product can be used in conjunction with the Blissful Sleep range. 60 tablets - 30g, 30 days supply. 2 tablets daily at bedtime with sweetened milk or water. Unsupervised combination with Peace of Mind (MA1401) is not recommended.